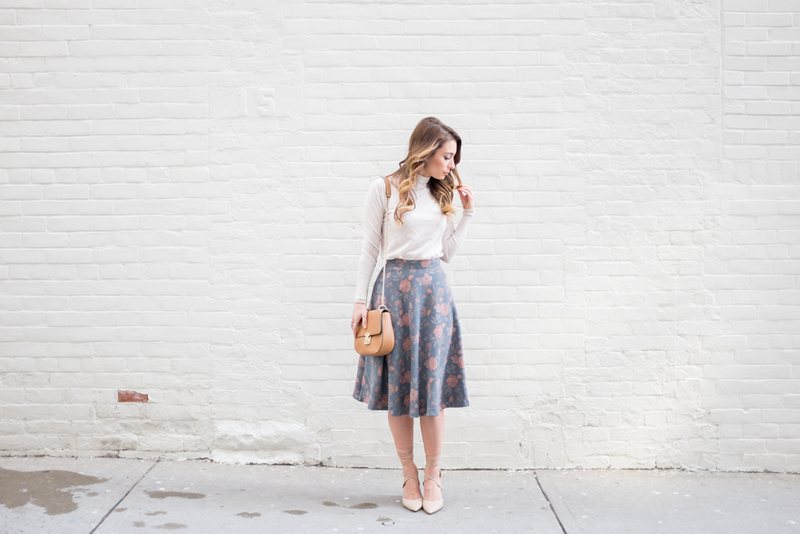 OOTD - Grey Floral Midi Skirt | La Petite Noob | A Toronto-Based Fashion and Lifestyle Blog. I'm going to let you guys in on a little secret, a resolution of sorts that I've been trying to uphold for a few months now: I've really cut back on my fast-fashion shopping. Although tempting, I've made a conscious effort to stay away from my old favourite stores of Forever 21 and Zara in favour or smaller boutiques. While I have absolutely nothing against Forever 21 or Zara, I found that I just couldn't control myself when confronted with so much variety and would end up leaving the store with bags full of clothes that would ultimately get donated after one wear. In my quest to step back from my old favourite stores, and to shop a little more mindfully, I stumbled upon Pink Martini. I love finding an online store that seem to have curated a selection completely for you. Take this grey midi skirt for example - I couldn't have found a piece of clothing that was more me if I had designed it myself. So while I'm not totally converted, and I do still plan to eventually go back to my old favourite stores, I've been loving the results of smaller-shop shopping. My poor city-condo closet thanks me as well. What do you guys think? Have you ever taken a break from your most shopped-at stores? What were the results? Let me know! I definitely invest in more quality pieces now than I used to. Forever21, I still browse their Love Collection because they tend to have more quality items than the rest of their collections. And love this skirt on you!! Definitive a keeper. I've never shopped at Pink Martini before, but I do love the skirt! I've been trying to stay away from "cheap" purchases lately...just because I find I don't really need all of the bulk in my closet either. This skirt was made for you, Joelle! I love how elegant you look, and those flats are to die for! OMG yes please to the capsule wardrobe! 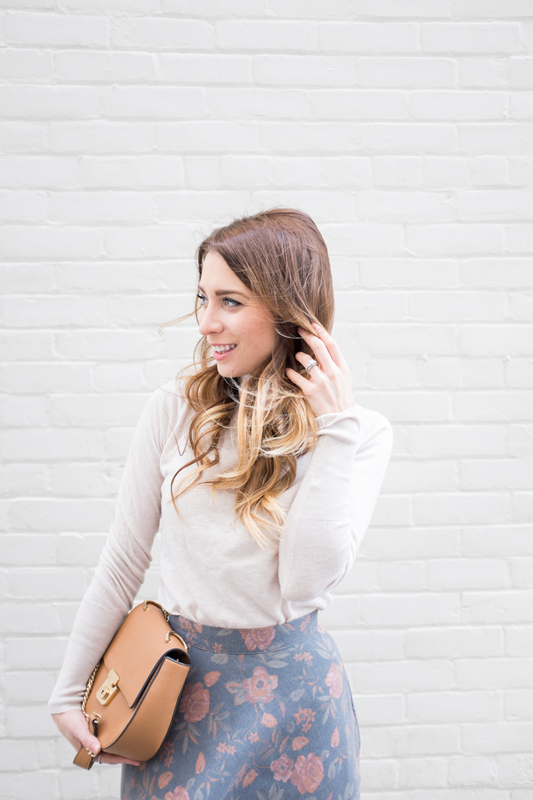 I always draw so much inspiration from your capsule wardrobe posts! YAYYYYY!!! !